Lyric Opera’s La Traviata is a feast for the eyes and ears. A stunning production from start to finish, it is a tantalizing love story set to the music of Giuseppe Verdi. Much like the story of the movie “Pretty Woman”, Violetta is a femme fatale who is accustomed to a life of pleasure, parties, and short-term love affairs. When Gaston introduces her to Alfredo, however, her entire world changes. 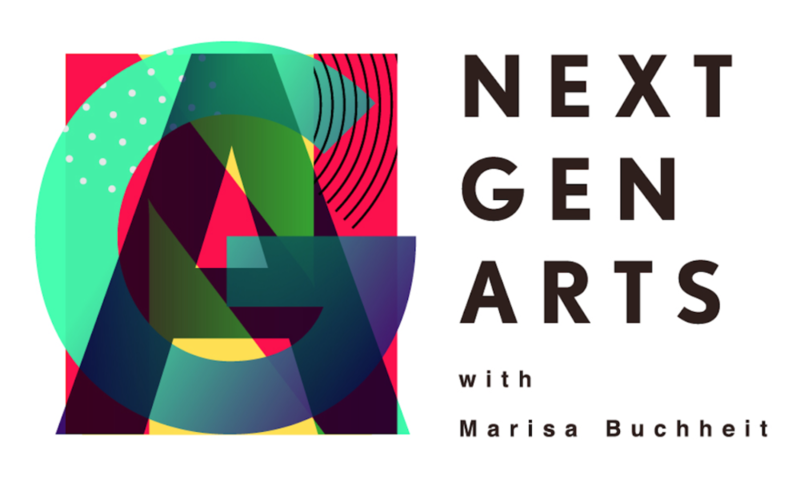 I’m excited to announce NEXT GEN ARTS, providing media coverage for the next generation of artists and classical musicians. In collaboration with Chicago Scene Magazine. Stay tuned for further updates! My first year of my Master's Degree at DePaul University School of Music is nearly complete! It has been a fruitful experience, and I have been grateful to work with talented professors, voice instructors, coaches, and colleagues. This summer I will travel to Urbino, Italy to perform and study Italian language, and will also have singing ventures in Germany. Asian-American Heritage Month celebrations, and new video release! Hey Friends. May is Asian-American Pacific-Islander Heritage Month, and the celebrations have been going strong all month long! I have had the honor of performing at 2 major ceremonies, the Kick-Off of the 15th Annual Asian-American Festival in the center of Chicago at Daley Plaza, and also for an Indo-China themed event for a prominent fashion industry friend, Jon Cotay of #JonCotayEvents. I have also released my video recording of the beautiful Chinese song "The Moon Represents My Heart", or "月亮代表我的心". My brother Joseph Chen Buchheit is a gifted composer and arranger, and he arranged a string quartet version of this popular song. The piece was recorded as part of the Soderstrom Castle Chamber Music Series, and I am happy to share it with you now! String players are from the Peoria Symphony Orchestra. 谢谢 (xie xie) to all, and have a happy AAPI Heritage Month! This season has been filled with wonderful performance opportunities, and I was honored to make my debut with the Elgin and Peoria Symphony Orchestras. Beautiful gowns provided by Alyce Paris. What a productive and exciting summer it has been! I have spent the past month taking part in the very first Opera Academy of the Midwest with Wichita Grand Opera. I am here in Wichita, Kansas through Mid-October to understudy roles, sing in the chorus of 3 productions, and learn from incredible mentors, coaches, teachers, and colleagues. I am enjoying every moment of the experience, and am grateful to have these 4 months to hone my craft. In the intensive first month of the academy, my peers and I coached with the OAM faculty members and world-renowned guest artists. I'm thankful to Wichita Grand Opera founders Margaret Pent and Parvan Bakardiev for having me, and feel that I am learning an incredible amount from the talented folks in this company. Our Maestro Martin Mázik, Coach Nyle Matsuoka, and acting coaches Shayna Leahy and Bill Powers are just a few of the instructors that have given me powerful new tools in my singing and performance capabilities. Masterclasses with Alan Held, Lynn Davis, and the legendary bass Samuel Ramey have been extremely inspiring as well. I am honored to have sung for them in these classes! In addition to our studies and coachings, we have performed in several Gala Concerts at the McPherson Opera House, Bradley Fair in Wichita, and Stiefel Theatre in Salina. These have served as a preview for WGO's 15th Anniversary Season and the 3 knockout productions coming to Wichita in late August, September, and October. Visit www.WichitaGrandOpera.org for info and tickets. I hope to see you at a performance of Turandot, Don Carlo, or the Grand Duchess. Hi all, and welcome to my beautiful new website: marisabuchheit.com! I have finished my reign as Miss Illinois 2014, and am thrilled to be embarking on my career path as a professional singer full-time. I’m thankful to the incredible supporters, sponsors, and friends I have met along the way, and recognize that many of the opportunities I have in front of me are the result of a team effort. Special thank you to my dear friend Dr. Carl Soderstrom. Dr. Soderstrom is a dedicated supporter of the Miss Illinois scholarship program, and having him in my life has been such a blessing. My new site has been designed by Puck Media Group in L.A., led by Producers Robert W. Soderstrom and Jack Warren. Now for a few exciting announcements. Drum roll, please… :) I am thrilled to share that I will be joining Wichita Grand Opera for their 15th Anniversary Season beginning this July! I will be participating in the Opera Academy of the Midwest, and singing in their productions of Turandot (Puccini), Don Carlo (Verdi), and The Grand Duchess (Offenbach), as well as numerous concerts. I will also be making my debut with the Elgin Symphony Orchestra for their Magical Holiday Concerts in December (with Conductor Stephen Squires), and the Peoria Symphony Orchestra in February 2016 (under the baton of Conductor George Stelluto). There will be more performance updates and exciting news to share in the not too distant future, so check back here and please connect with me on Facebook, Twitter, Instagram, etc.! Thank you for your support!